A tour of dog-trots in Texas. If you’re a fan of dog-trot houses--and know what they are--here is an opportunity you shouldn’t miss. The SFA Gardens of Stephen F. Austin State University will host a tour of two historic Shelby County dog-trot homes on Saturday, Sept. 1, from 9 a.m. to noon. 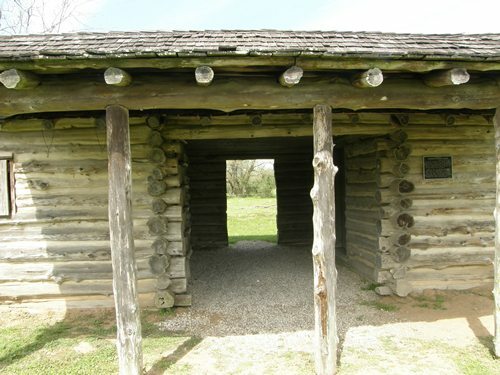 For those of you who missed some of your history lessons in school, dog trot homes were built with breezeways or “dog runs” through the middle for air circulation. They became known as dog trots because dogs usually slept there or trotted though the breezeway instead of running around the house. “Without electricity or air conditioning, dog-trots were designed for the air to flow through the middle and circulate through cross-ventilated doorways and windows in a Southern climate where hot, humid summers were more unbearable than the brief winters,” said Elyce Rodewald, the SFA Gardens education coordinator. These homes were the first “green houses” and were once common throughout the South, but most have practically disappeared from modern society, said Rodewald. Both of the homes on the tour are in the Arcadia community, between Garrison and Center, and belonged to the family of Greg Grant, co-author of two home landscaping books. Arcadia, established around 1887, was once a thriving community with several mercantile stores, and churches, three schools, a blacksmith shop, syrup mill, cotton gin, barber shop, baseball field and a post office. Today, there are no businesses in Arcadia and the community only has a population of fifty-one. Other dog trot houses like those at Arcadia, fortunately, still stand elsewhere throughout East Texas and have been beautifully restored as historic landmarks by their owners. Bob Bowman's East Texas August 15, 2010Column.